A dog may be man’s best friend but the charity MADRA (Mutts Anonymous Dog Rescue and Adoption ) is often a dog’s best friend here in the west of Ireland. Throughout the year MADRA finds new homes for hundreds of unwanted, neglected, abused, and abandoned dogs. 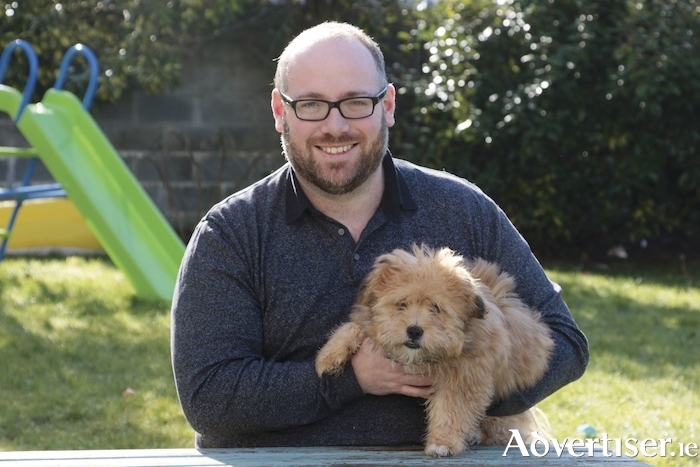 Since its formation in 2005, MADRA’s work has seen the euthanasia rates of abandoned dogs in Galway fall from 83 per cent to eight per cent, and earlier this week I met MADRA general manager, Jonathan Kent, who filled me in on the canine charity’s activities. Jonathan outlines MADRA’s history and modus operandi; “MADRA was set up in 2005 by Marina Fiddler and Tara Nic Dhiarmada, two dog trainers from Connemara. They decided to tackle the problem of abandoned dogs in the west of Ireland by rescuing and re-homing those dogs. MADRA gets dogs from the Galway City Pound, Mayo County Pound, and ‘private surrenders’ from individuals who, for whatever reason, can no longer look after their dogs. "Once the dogs come in to us they’re put in our kennels. We also have many foster-carers who are extremely important because they can offer dogs a home environment. The first step is the dogs will, if necessary, be micro-chipped, neutered, and vaccinated. A lot of dogs we get have been abandoned so they have to be vaccinated to ensure they don’t spread any disease in the kennels. "The dogs will be assessed by our staff who will identify suitable homes for them. Through our website, people come forward offering homes, and there is an adoption and fostering questionnaire on the site’s re-homing page. That can be filled out online and it goes straight through to the MADRA re-homing team. If they find a likely new home they’ll phone them back and we always do our best to match up the right dog with the right family, based on factors like family size and ages, type of garden, how often people are home during the day, and if there are other animals in the house. We take in 800/900 dogs every year and I’d say we have a 95 per cent success rate in matching homes with dogs. We’re proud of that. Just over a week ago, MADRA suffered a big setback when its van was in a bad crash. “It happened on Tuesday morning of last week,” Kent tells me. “Our driver, Bill Smith, was driving two dogs to the vet and, outside Oughterard, he hit a patch of black ice and crashed. The dogs weren’t hurt, though Bill did need 14 stitches in his arm. However, the van was a write-off so we put an appeal on social media to raise funds toward a replacement. In five days we’ve got over €5,000 which is a fantastic response. It shows the amount of support we get from ‘the MADRA people’ out there. As we take our leave, Jonathan reminds me that one date MADRA friends should mark in their diaries is May 17, which is when this year’s MADRA Dogathon takes place, the charity’s fun family day fundraiser. Stay tuned to MADRA’s website, Twitter, and Facebook pages for more details as they are announced. Woof woof!